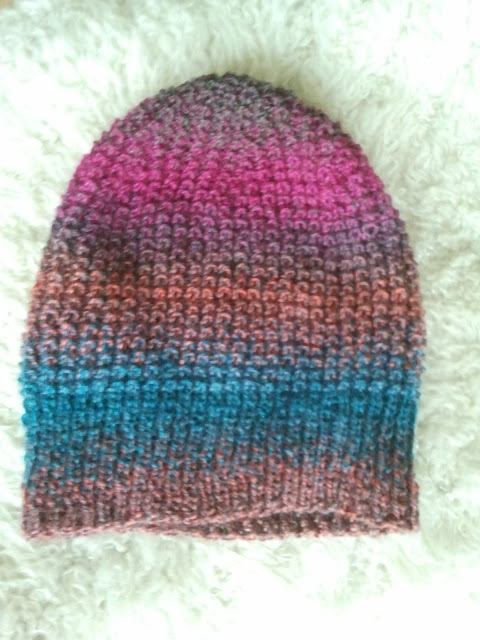 Love the slouchy hat, and the gradual colour change. That's why I kept mine! Quickly knit another one for yourself. Lovely hat, I love slouchies, might try this pattern for myself. Good job! Ah it looks so pretty! Congrats! I'm not sure if I would be able to send that cute little hat off, you must be made of strong stuff than I am. It's fantastic, and looks equally good on both of you. It's sometimes hard to give our makes away isn't it, but it's great when people like them. Great hat - perfect on you, perfect on him, even the pup seems to like it! Definitely better queue another! Absolutely amazing, I love unisex quick projects. Looks stunning. Great hat, looks good on both of you. I don't reckon it's too early to think Christmas, just very organised! I don't think it's wrong to think about Christmas gifts in summer, but I live in a country where Christmas is celebrated in summer anyway so I have trouble thinking about Christmas gifts in winter. 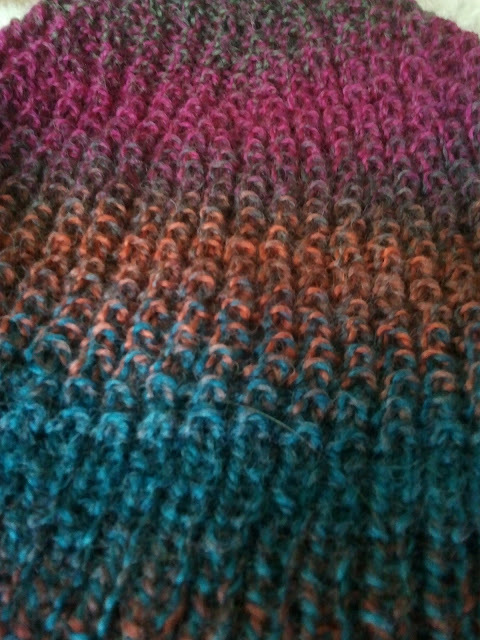 What a wonderful yarn choice- the color changes are amazing. It looks great on you AND bf, which is pretty awesome. I have that hat pattern in my favorites but maybe it's time to bump it up to the queue...? ps,. you're so pretty, lady! The hat is so cool and stylish. Love that slouchy look and the yarn is super. You totally need to knit one up for yourself and your sweetie because it looks great on you both! It looks amazing! I think it looks great on both of you! I love the slouchy style! I absolutely love this! I will have to make a hat like it. awesome hat! love the colours. I would be chuffed receiving that hat as a gift. Great work!!! I love hats and colours are awesome!! !